Durkan’s education levy: How much more would the typical Seattle homeowner pay? This year, the owner of a median-priced home is paying $136 for two existing levies. Under the mayor’s plan, next year the owner of a median home would pay an estimated $242. 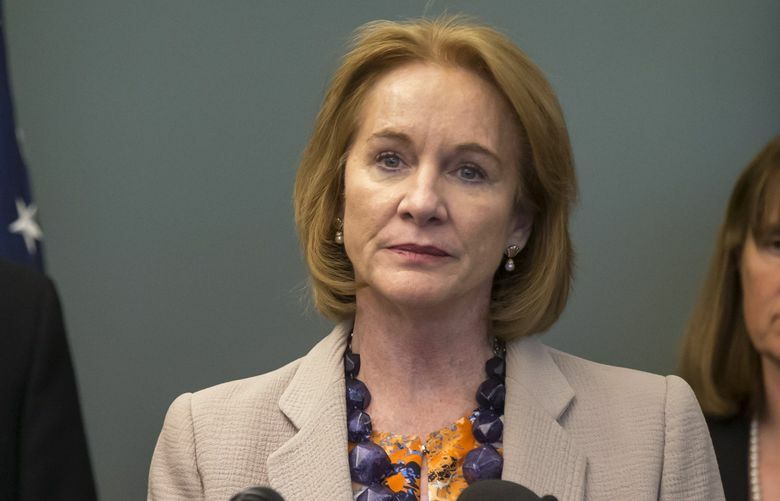 Seattle Mayor Jenny Durkan has proposed a new property-tax levy for education programs to replace a pair of smaller levies expiring at the end of this year. So, how much more would the typical homeowner pay? Let’s take a closer look. This year, the owner of a home of median assessed value ($597,000) is paying about $136 — $95 for the Families and Education Levy and $41 for the Seattle Preschool Program Levy, according to the King County Assessor’s Office. That’s $0.227 per $1,000 of assessed value. In past years, the combined cost for the existing levies has been as high as $141. Under the mayor’s plan for the November ballot, the owner of a median home (projected by the Durkan administration to be $665,000) would pay about $242 next year. Put another way, the city would collect $0.365 per $1,000 of assessed value. Over the seven years of the proposed $636.5 million levy, the owner of a median home would pay an average of $249 per year, according to the Durkan administration. By paying more, taxpayers would enable the city to expand its subsidized preschool program from about 1,500 seats next school year to 2,700 seats by 2025, the mayor says. The proposed levy also would pay for K-12 school support and health services and would help the city make community college free for all students graduating from Seattle’s public high schools, Durkan says. Certain low-income seniors, people with disabilities and veterans with service-connected disabilities would be eligible for exemptions, according to her administration. It’s harder to calculate how much the typical residential or commercial renter would pay, because landlords could choose whether to pass on their tax hikes. “Working together, we can take a major step toward closing the opportunity gap in our city, putting our young people on a path to good-paying jobs, and creating a more affordable future for our city’s children,” Durkan said last week. Were Seattle to maintain its levy-funded education programs and services at their current levels, rather than expand them, the cost for the owner of a median home next year would be about $213 over the life of the new levy, according to the Durkan administration. That would still be an increase over the $136 a median homeowner is paying this year, partly because the annual cost of the city’s preschool program has grown since its launch in 2015 and partly because of inflation, Durkan says. Understanding how much the typical homeowner can expect to pay for a levy can be complicated because city officials must make projections and have marketed the measures differently over time. When the Families and Education Levy passed in 2011, voters were told what the owner of a home of average assessed value could expect to pay — $124 per year. Seattle officials used the average home as their standard because that was what the assessor’s office had been using in annual reports, according to the city’s budget office. The assessor’s office subsequently switched to using a median home as its standard, and the Durkan administration is now telling voters what the owner of a median home would pay. An average is calculated by adding the individual values of all homes and dividing the total by the number of homes. Very expensive homes pull an average up. Median refers to the value at which half the homes are above that figure and half are below.